Make your move to Kirkland smooth and simple with local Kirkland movers. As part of the community, Gigantic Movers knows the area well and offers you knowledgeable and dependable service. For the creative at heart, Kirkland has a wide range of cultural activities to keep you going and the scenic waterfront gives you an unforgettable view. With 12 distinct neighborhoods to engage people of all interests, it’s easy to find your perfect home in Kirkland. Gigantic’s Kirkland Movers want to help you get there, so we use the best techniques to safely transport your items wherever you want to go. Relocating to Kirkland can set you right on the shore of Lake Washington in the eclectic downtown or out in a more family-friendly area like North Juanita. The city has an area to fit any style and amenities and programs to make it even better. The city has a great recreational program for kids boasting two successful little league associations and caters to adults as well with multiple community centers hosting dance and art classes. In fact the arts might be one of the cities greatest highlights. Home to a thriving art community and a 400 seat performance art theatre, you can take in a great work or get involved yourself. Gigantic Movers can help you get where you need to be to work on your creative career. The professionals understand the importance of handling all your items from easels to beds the best way possible. 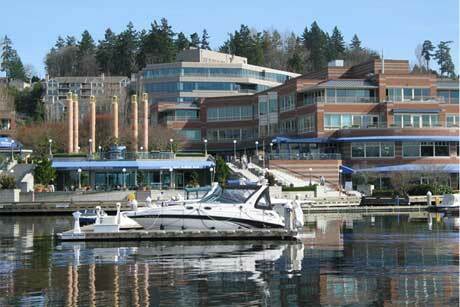 Moving to Kirkland can open up great new possibilities, and we’ll help you get there. If you want to just go out and enjoy a day with friends, Kirklands waterfront parks are famous for their beauty and beaches, and with a population of over 80,000 you’re bound to find some amazing new people! Business is booming in the area as well. Kirkland has made it name famous with the Kirkland Signature store brand and the technology industry is growing steadily. For computer savvy workers or entrepreneurs, the city has become an up-and-coming Pacific Northwest hub for video game and software companies. You’ll need to get up away from the computer from time to time, so while your local Kirkland movers are figuring out the logistics of your move, you can take advantage of the cities active transportation plan and jump on a bike or a horse for a nice outing. There’s a lot to keep you busy after moving to Kirkland, and the city likes to keep it interesting. Using trusted professionals at Gigantic’s Kirkland Movers will let you jump in headfirst to see it all from Marina Park to the Laughs Comedy Spot. Take a closer look at Kirkland Gov.